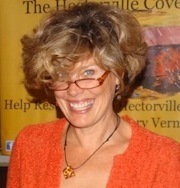 Katharine Britton, whose first two novels, Her Sister's Shadow and Little Island were published by Berkley Books. We discuss her latest novel, Vanishing Time, which Katharine brought out this year. This week we have three Write the Book Prompts, all generously suggested by my guest, Katharine Britton, who is a writing teacher as well as an author. First, have a conversation with one of your characters. Ask him or her questions about motivation, goals, pet peeves… It’s a good way to find a voice for a character that’s different from the author’s. Get two characters talking to one another “off stage.” Not a scene that occurs in the book, simply a chance for them to air their grievances, express opinions... It’s slightly different from the author chatting with a character. Finally, write a scene from the perspective of an object in a location: what did it see, hear, experience, such as - in Katharine’s book, Vanishing Time, the live oak trees on the rice plantations.